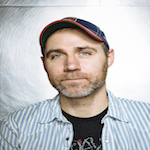 Benji Rogers is currently President of PledgeMusic, the global direct-to-fan company he co-founded in 2008 and ran as CEO until 2014. A public speaker, investor, and musician from London and New York, Rogers co-founded Radiary Creations in 2014 and is an advisor to a multitude of companies, including Dubset Media, Sound Diplomacy, Cords for Music, First Artist Bank, and NoiseTrade. In 2014 he was the recipient of the A&R Worldwide “Digital Executive of the Year” award, and in 2013 he made the Billboard 40 Under 40 Power Players list. He is an instructor at Berklee College of Music, teaching the Music Business Trends and Strategies course for Berklee Online. Recent engagements include keynote addresses and panels at SXSW, Midem, European Culture Forum, SF MusicTech Summit, Canadian Music Week, MMF, BPI, Music Matters, GRAMMY Camp, and many more. In 2015 Rogers accepted a position on the Board of Directors of the Future Of Music Coalition.